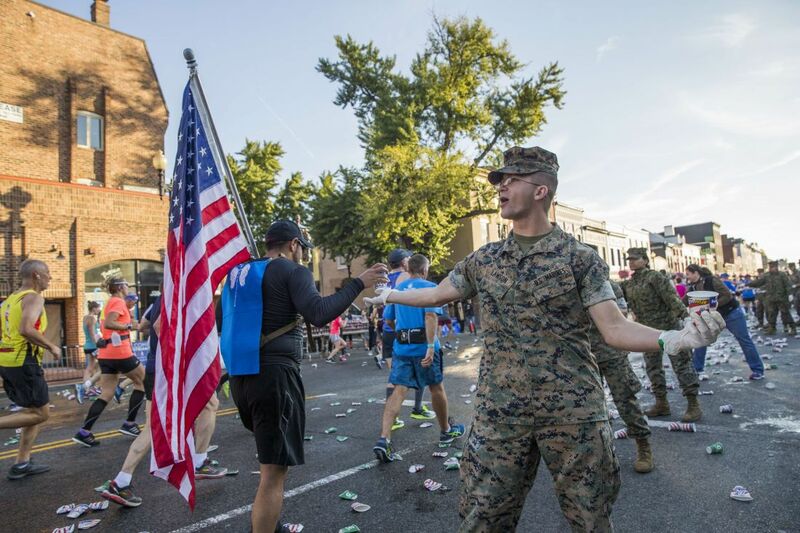 Opportunities to work alongside U.S. Marines range from distributing runner packets and shirts at the Health & Fitness Expo to supporting a water point, food station, medical aid station, runner's hospitality or the start and finish areas on event day. All volunteers take pride in supporting thousands of individuals striving to achieve a running goal. Volunteers receive a commemorative shirt and a certificate for each event supported. Individuals and groups are encouraged to volunteer throughout the year. Support opportunities are announced at a minimum of six weeks prior to each event. Interested in volunteering? Sign up to receive notifications for future volunteer opportunities.